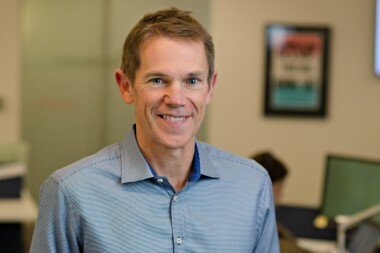 WhaleShark Media, the profitable coupon company that generated more than $140 million in revenue last year, has hired Douglas Jeffries as its new chief financial officer. The Austin, Texas-based company said Jeffries will manage WhaleShark’s global finance, legal, facilities and human resource teams — and at this rate, he’s presumably being brought on board to expand the company’s management team ahead of a potential IPO. In late 2011, the company raised a massive $150 million round to continue buying up coupon sites around the world. Some of its brands include RetailMeNot and Deals2Buy in the U.S., VoucherCodes in the U.K., Bons-de-Reduction in France and Deals.com in Germany. The company is conducting a classic rollup, in which it achieves scale through acquisition. In total, it has raised $300 million in capital from major investors such as J.P. Morgan Asset Management, Institutional Venture Partners, as well as others, including Austin Ventures, Norwest Venture Partners, Adams Street Partners and Google Ventures. Most recently, Jeffries was EVP and CFO at Taleo, a software company purchased by Oracle for $1.9 billion last year. Prior to that, Jeffries played top financial roles at Palm, where he was CFO, and eBay, where he was VP of finance and chief accounting officer. In the release announcing the new executive appointment, WhaleShark confirmed that it was “highly” profitable last year, and that it clocked more than 450 million visits to its websites. WhaleShark’s business plays nicely with the deals craze. While the practice of coupon-clipping is ancient, investors have embraced tech startups in the space, as consumers start looking for deals online rather than in the Sunday newspaper. Competition includes CouponCabin.com, Coupons.com, CouponTrade.com and many others.